Ride peacefully, without a care in the world. Handy technology like the extra quiet motor which makes every bike ride a pleasure. And thanks to the completely new Orange frame, this Gazelle is also a feast for the eyes. 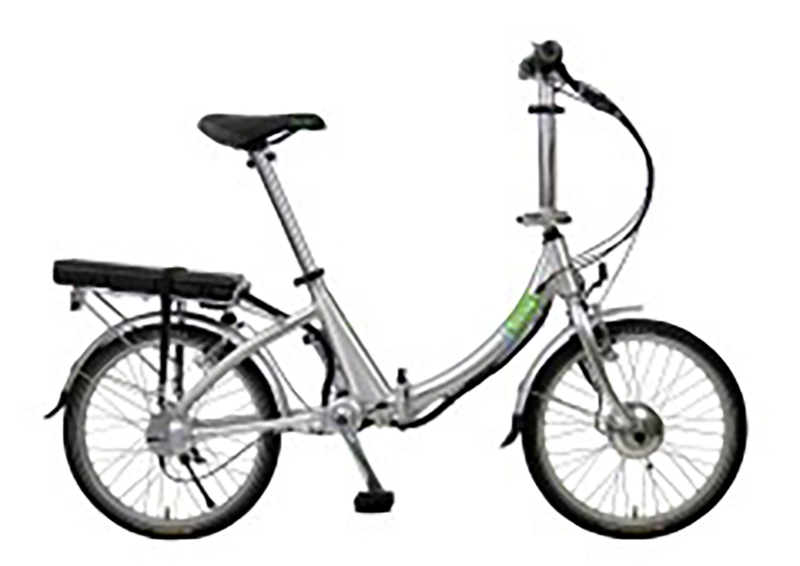 Design, quality and ease of use are characteristics of this sporty e-bike. The battery is nicely concealed in the frame giving the bike a tough and robust appearance. Thanks to the extra powerful and silent Bosch mid-engine and powerful battery, no hill is too high or destination too far. 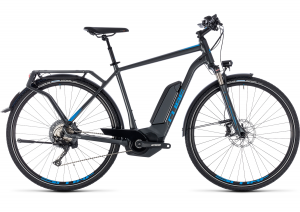 Ideal electric bike for both commuters and recreational cyclists. Not only has the frame been revamped, but all systems have also been brought up to date. 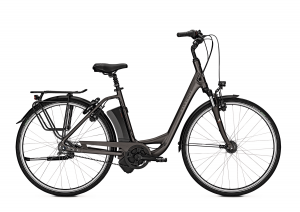 Available in a 28″ wheel and a 26″ wheel with a 42cm or 46cm frame. Ideal for day to day trips. Its powerful mid-mounted motor offers satisfying assistance on all your bike rides. The Ami is like a good friend: always ready to help. 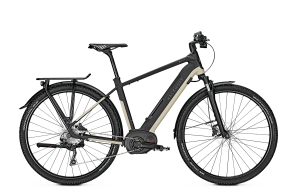 You will feel secure and safe on the road on this all-rounder. Time to set off on another adventure together! Luxury high-grade e-bike that will make every bike ride easy. Quality and ease of use are paramount. Bike requires little maintenance thanks to the Gates belt drive. 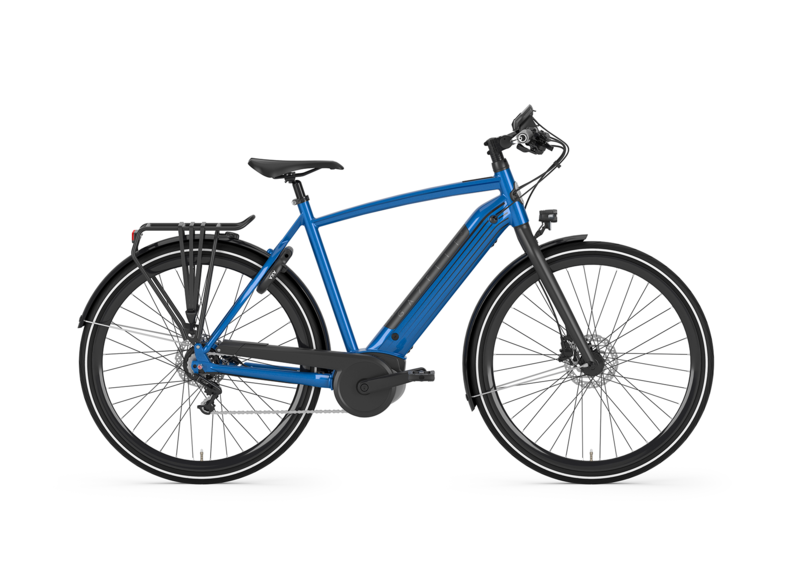 This smart bike changes gear automatically so you will always be cycling in the right gear. Powerful Bosch Performance Line motor, three frame designs, and up to three colours per model: individuality times three; the Endeavour takes adaptation to its peak. There is almost no way of having a bike that is more “yours”. And more integration is scarcely possible: the removable battery is located in the frame, while cables are concealed within the adjustable stem. Has pole position in narrow streets, as well as in your hall at home. 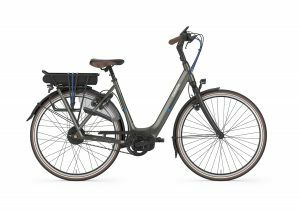 Thanks to its folding pedals and Speedlifter Twist stem, the Sahel Compact will find a space anywhere – making it the perfect bike for large towns and cities. The Impulse 2.0 drive system spurs this compact miracle on to great performance, thereby providing optimal riding enjoyment. Long daily rides are not a problem, thanks to long-range batteries. 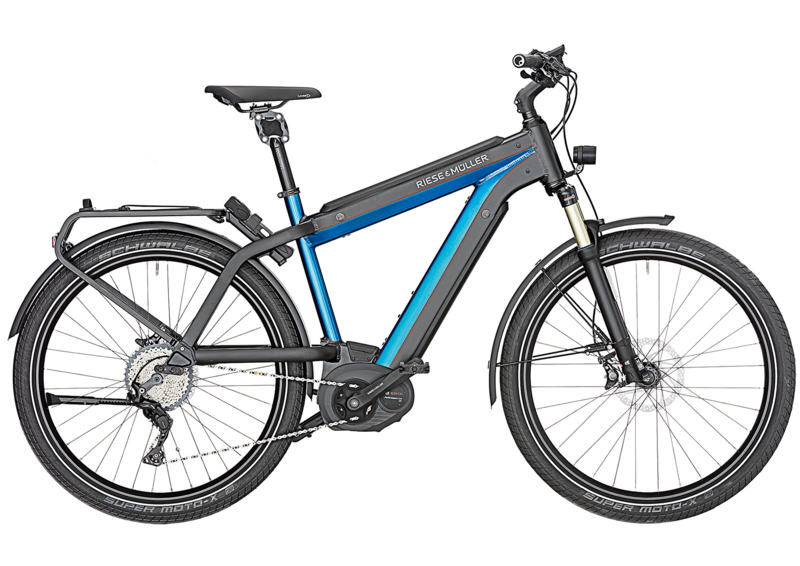 However, Voyager e-bikes are also ideally suited to tackling small everyday tasks – with the option of either an Impulse or Bosch drive. In technical terms, the Endeavour 5 product range already marks the pinnacle of achievement, and consequently our focus for 2019 lies on fashionable model updates: with a vast array of colour combinations now available for each standard model plus now available two-tone colours, it is easier than ever to find “your” Kalkhoff Endeavour 5. 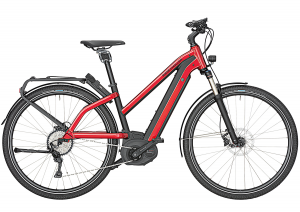 Get the most out of your Endeavour 5 with a choice of motors from Bosch, Shimano and Impulse EVO RS. The bike can be adapted like never before thanks to the three different motors to choose from and available in a vast array of different colour combinations. So it’s fair to say that integration has really been successful here. Start your adventure from your doorstep, the Entice 5 follows the path you choose, tarmacked or otherwise.. Available in three frame designs. Why choose the easy path? The Entice 5 combines everyday suitability with a dash of adventure. New decoration, new colour combinations and new Bosch motors round out the Jubilee portfolio. A wide range of equipment options and batteries with a long range are also impressive. Want to explore further, longer or more often? The CUBE Reaction Hybrid Pro is your ideal companion. 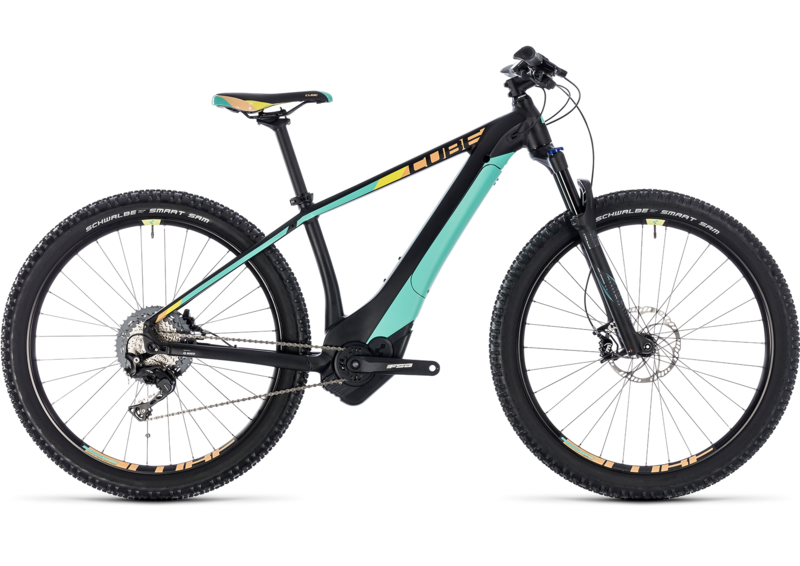 Built around the superbly efficient Bosch CX drive system, our adatpable hardtail will help you tame any trail. With a plush, accurate-steering Suntour suspension fork and light, grippy 2.6 inch Schwalbe tyres to keep you on track, a Shimano 10 speed transmission with a new wide-range 11-42T cassette to provide a gear for every situation and powerful hydraulic disc brakes to keep your speed in check, there’s everything you need here to expand your off-road horizons. 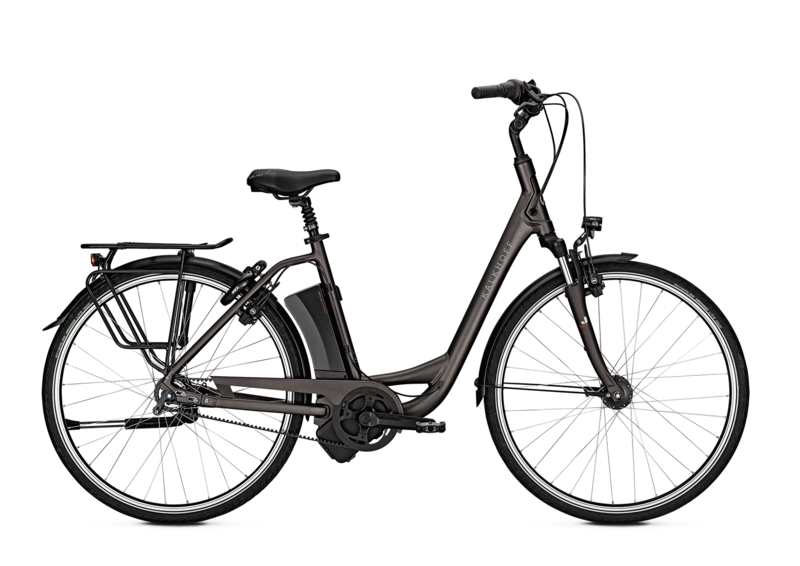 Equipped to perfectly fit the female anatomy – and available in a wide range of sizes thanks to our unique Size Split system – it’s a bike that blends the reliability of the Bosch CX drive unit with high quality components so that you can concentrate on the ride, not on your bike. 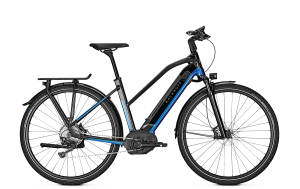 Shimano’s reliable Deore 10 speed transmission puts a wide range of gears at your fingertips, while hydraulic disc brakes give you ample stopping power in any weather. There’s a Suntour suspension fork with 15mm through axle for extra comfort and control on rough trails, too. There’s everything you need here for trail exploring fun, time after time. There are plenty of people who’d say that our e-MTBs get better every year. They’d be right – and the Reaction Hybrid SL is a good example. Our engineers went back to the drawing board to create an even sleeker hybrid hardtail with fully integrated battery, resulting in improved handling, smarter looks and better functionality. Wtih a RockShox Judy Gold Air fork smoothing out the trail, Magura MT Trail Sport hydraulic discs keeping your speed in check and a slick-shifting Shimano XT-based 11 speed transmission getting your power to the rear wheel, this is a bike that’ll have you coming back for more, time after time. When you’re ready to explore that little bit further, push a little bit harder and experience a little bit more, you’ll need a bike that won’t let you down. 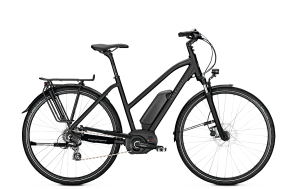 The Access Hybrid SL’s powerful Bosch CX drive system will match your every pedal revolution with a dose of extra power, but that’s not all. 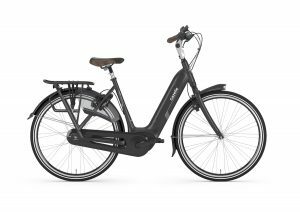 New for 2018, the redesigned Superlite aluminium frame is better looking and better handling than before – and we’ve equipped it with a selection of premium components. The entire bike is designed specifically to meet the demands of women riders. From the buttery smooth RockShox Judy Gold RL air fork to the precise, reliable Shimano XT 11 speed gears and powerful Magura MT Trail Custom hydraulic disc brakes, everything about this bike is designed to get out of your way… and just work. Ride, after ride, after ride. Because sometimes, more really is more. 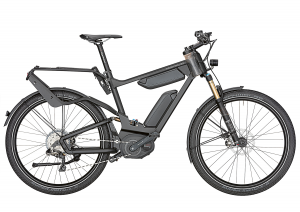 Combining the needs of a load hauler, weekend cruiser and urban commuter into a single machine that works seamlessly with a powerful Bosch motor is no easy task. Luckily, our engineering team is up for the challenge. Beginning with a gravity cast motor mount and complex, hydro formed down tube, we mounted the motor and battery as low as possible. Combined with our Efficient Comfort Geometry (ECG) and a frame structure that’s stiff and light, this ensures sure-footed and responsive handling. Internal cable routing keeps everything neat and tidy, and the integrated luggage carrier’s wear components can easily be changed if the need arises. The Supercharger does not brag about its inner values; it simply has them. 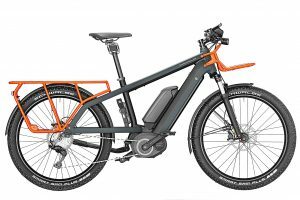 Thanks to the full integration of up to two Bosch PowerTube batteries in the frame and the coordinated colour scheme, the whole bike has a very sporty look and appears to have been cast in one piece. When it comes to range, with its battery capacity of up to 1,000 Wh it delivers outstanding results on the road. The unique ride and comfort make every mile an experience. The Charger wants to get out. 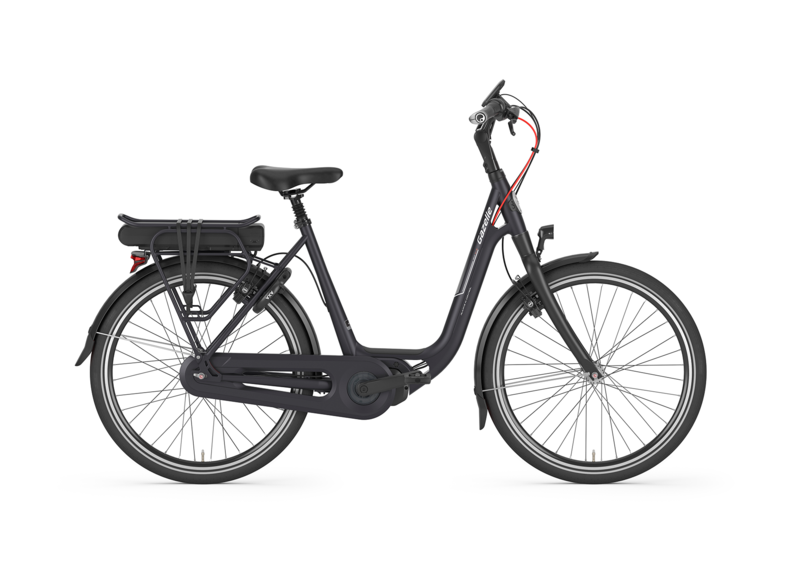 Climb mountains with ease, compete with the wind, turn your daily commute into an experience. And it wants to be seen. The integrated Bosch PowerTube battery allows the Charger’s familiar yet new, original design to come into its own – you can expect to see your colleagues watching you longingly from their cars. The Charger brings so much fun to everyday life that you’ll be itching to throw in an extra trip at the weekend. There may be no literal superlative of mountain biking enthusiasm, but the Delite mountain will show you what it looks like. Every performance-driven rider will be amazed by the incredible dynamics of the high-torque Bosch Performance CX motor. Along with the battery and shock absorber, the motor is installed in a particularly low and central position, allowing a level of handling that was previously only possible with un-motorised mountain bikes. Thanks to Control Technology with full suspension, the Delite mountain can conquer any terrain. And by the time you experience the superb traction – even at low speeds – you’ll be lost for words. 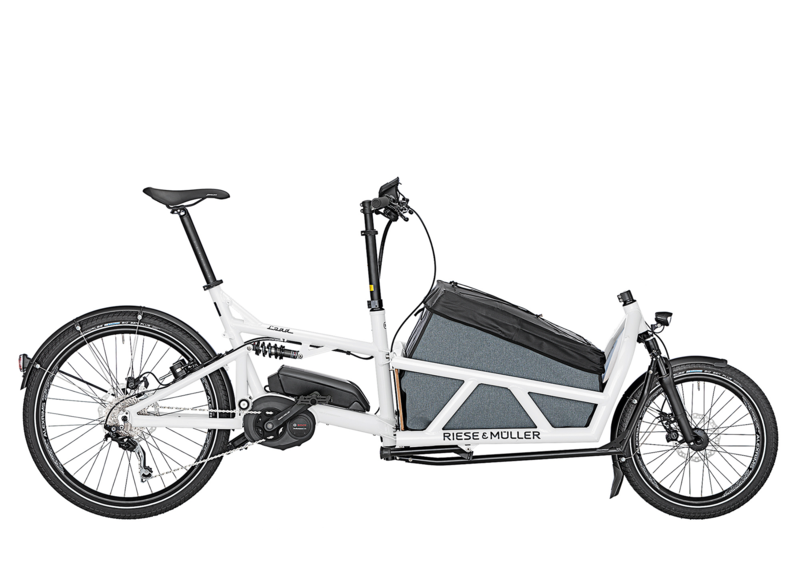 An E-Bike with optimised cargo space. 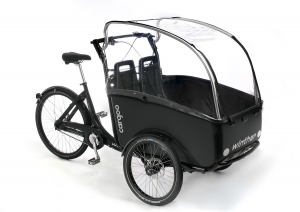 Its carefully designed cargo equipment options make it the ideal touring, family or transport E-Bike. Slightly longer wheelbase than the Charger. 60kg carrying capacity on the rear carrier. Available extras with the cargo bags holding a massive 2 x 33 litres or the passenger kit allowing you to carry a person on the back. 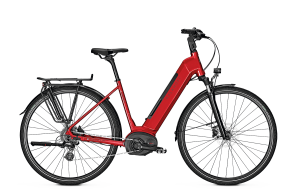 At the same time, it can also be adapted with great flexibility to body heights from 1.50 m to 1.95 m. The HS version offers even more riding pleasure with up to 45 km/h of power. The revolution begins in the crowded streets of the city bustling with commuter traffic. 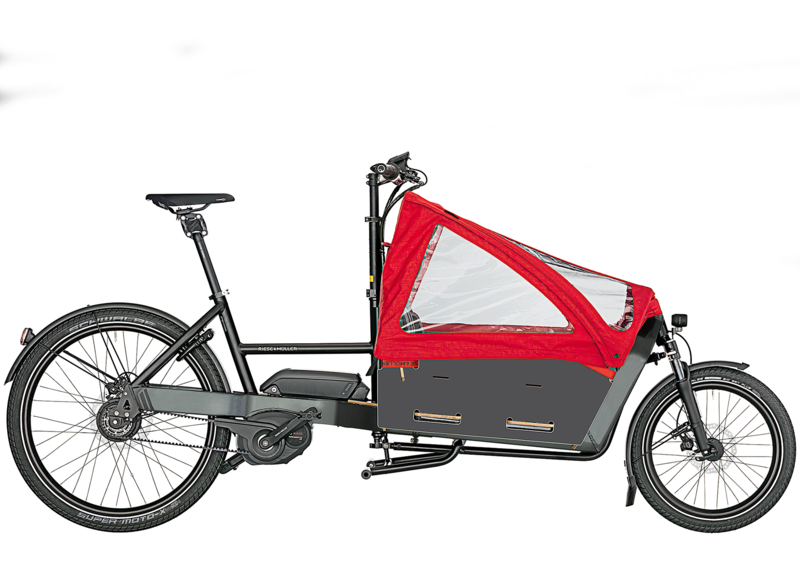 Safely and comfortably – thanks to the full suspension – past the long queues, on the Load 60/75 E-Cargo bike. Even as you set off, you’ll be surprised by its sportiness, even despite all your luggage. The challenges of everyday life, like transporting crates of drinks to the BBQ spot half a mile up the hill, will no longer be any trouble at all. Quick rider changes are a piece of cake since the handlebar and saddle can be adjusted to almost any body size. So all that remains is for us to say: dear car, it’s great staying in the garage. 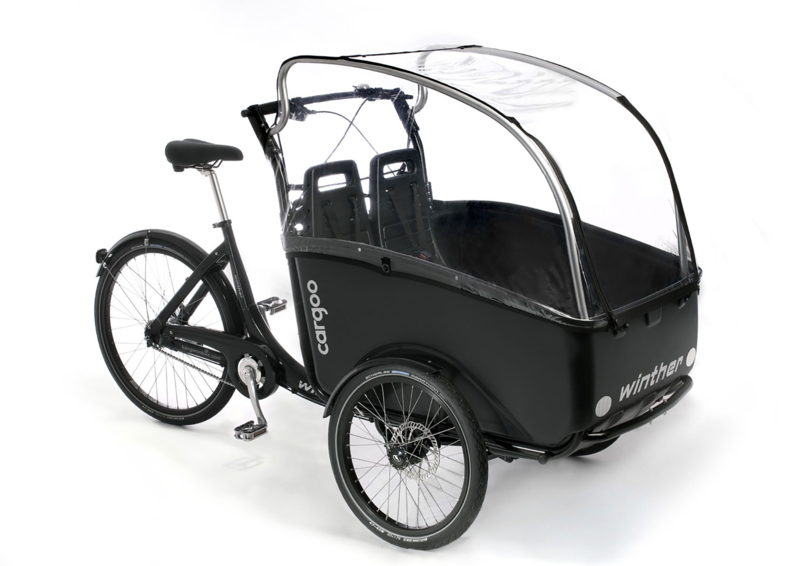 Whether it’s getting children to nursery quickly and safely, delivering goods to customers avoiding traffic jams, taking sports and leisure equipment up the next mountain or saving on fuel costs. Whether within the family or their own business. One thing they all have in common: they want more freedom. And they have great plans. 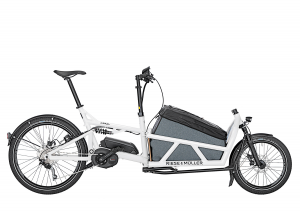 How practical that the E-Cargo bikes from Riese & Müller are perfectly prepared for these challenges. 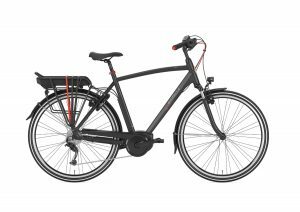 Among the versatile Packster family or with the sporty Load, everyone will find the perfect bike for their individual needs. Available in 3 sizes 40cm, 60cm & 80cm. 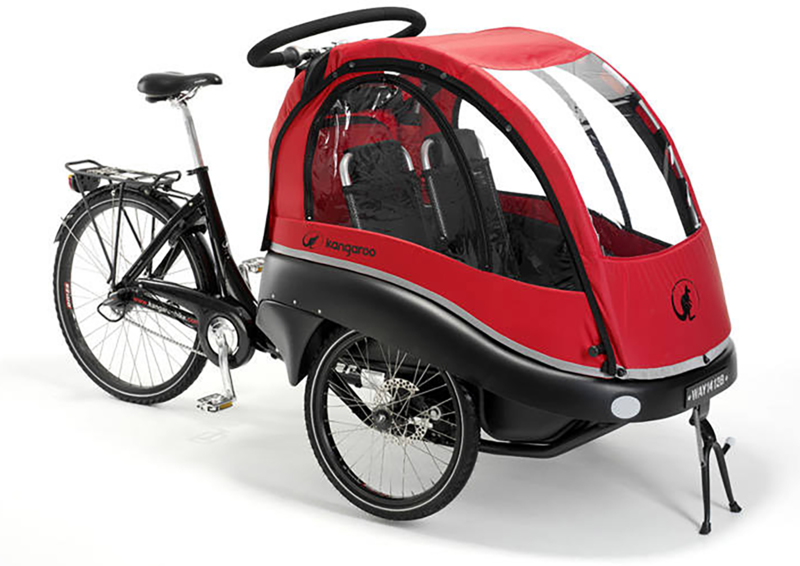 A Cargoo is quick and easy to transport children, goods or other cargo around. It is Winther’s most flexible model and can take up to 100 kg. Unique advantages make Kangaroo Luxe the ultimate cargo bike for you and your family. Seats that can be put to resting position, the patented three-point steering system and detailed focus on safety and comfort made it win the prize as best cargo bike in test. 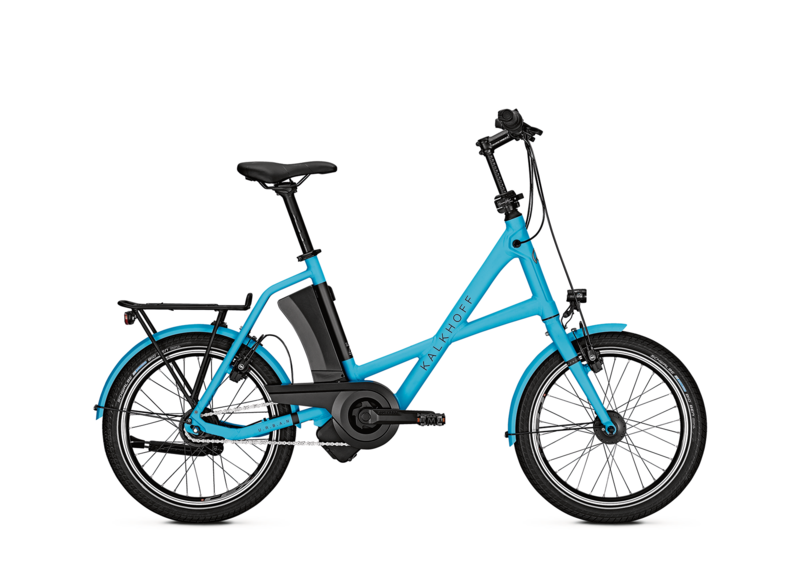 The beixo electricity combines the convenience of the compact folding bike and the shaft drive with a high quality electrical system. The 20 inch wheels and the large wheelbase provide the bike a very stable ride. With a low entry frame for extra comfort. Both with or without the electric assist mode it rides very smoothly. With a simple press on a button the engine can be switched on or off. And weighing a bit more than 20 kilos it is one of the lightest electric folding bikes available. The electrical system is made in the Netherlands, guaranteeing service and quality. The battery is removable so it can be charged anywhere. Taking it out immediately saves lifting two kilos. 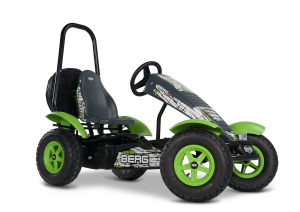 The range of the standard battery is more than enough for a nice ride. Would you like to further, then simply choose a larger battery capacity. The beixo the electricity takes you effortlessly anywhere. No adventure is too great for this go-kart! Inaccessible pathways and rough terrain are no problem for the sturdy off-road tyres. Thanks to the unique BFR system, you can simply brake and reverse when a fallen tree blocks the road. Your go-kart becomes even more fun with a BERG accessory like a cool rollbar or flashing light! Black, with a touch of orange here and there. 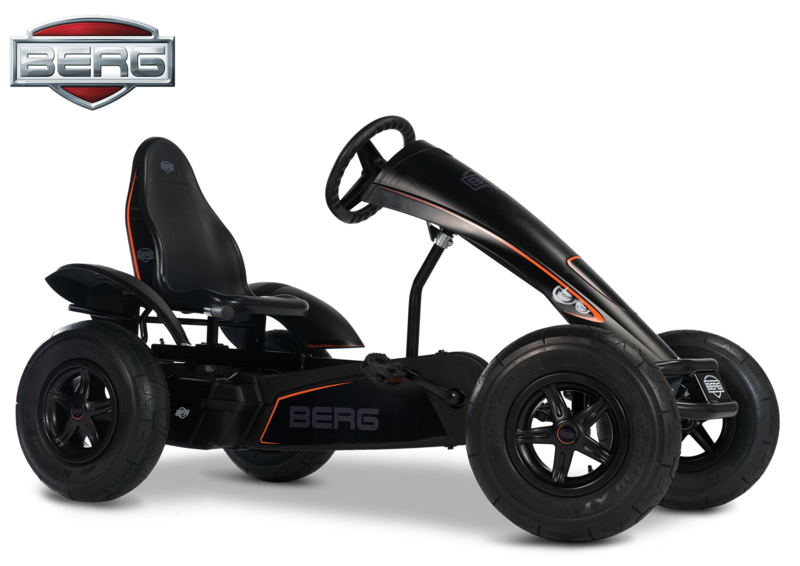 Together with the special design of the spoiler and the tyres, this makes the BERG Black Edition a very special go-kart. This super-cool model is of course only for the most fearless boys and girls!